AKIPRESS.COM - In Tashkent last week, the United States Agency for International Development (USAID), Uzbekistan's Ministry of Health, and the National Specialized Medical Science Center for Tuberculosis and Pulmonology (Center for Tuberculosis and Pulmonology) of Uzbekistan held two three-day seminars for laboratory specialists on testing for Tuberculosis (TB) using the GeneXpert system, the U.S. Embassy reported. GeneXpert is a state-of-the-art laboratory technology that provides TB diagnosis in less than two hours, instead of the months it used to take. With support from the USAID TB Control Program, for the first time laboratory specialists from regional TB dispensaries in all regions of Uzbekistan had the opportunity to master the GeneXpert TB diagnostics technology under the guidance of Kristians Korns, an international expert who represents Cepheid (USA), a world’s leading manufacturer of laboratory equipment. Technologies like GeneXpert not only provide fast and accurate TB diagnosis but they are also able to detect particular strains of TB, which is critical to ensuring timely and appropriate TB treatment and reducing the spread of the disease. Under its TB Control Program, USAID has been providing TB knowledge-sharing initiatives for Uzbekistan’s healthcare providers since 2015, through study-tours abroad and by bringing the world’s leading experts to Uzbekistan. 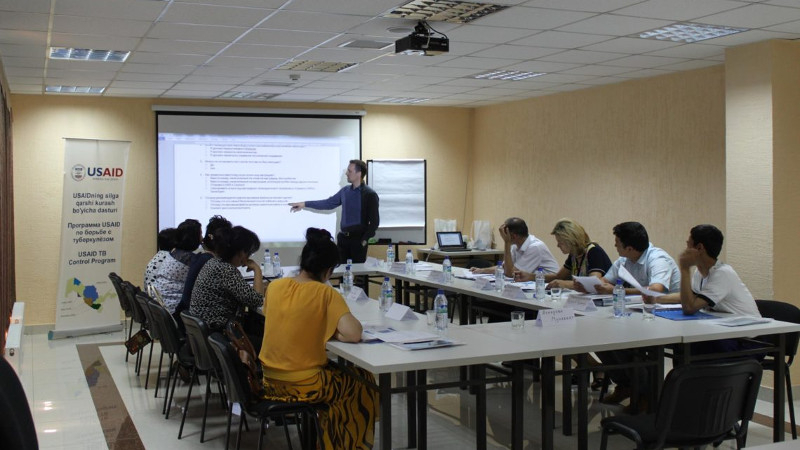 The workshops on GeneXpert were conducted at the Center for Tuberculosis and Pulmonology’s National Reference Laboratory for laboratory specialists. Khusnora Razhabova, a manager from the inter-regional culture laboratory at the Bukhara Regional TB Hospital, reflected on the experience: “Thanks to the GeneXpert training, we have learned how to quickly and accurately diagnose TB so that our patients can immediately start treatment. We will pass these new skills to our colleagues at regional laboratories countrywide and, ultimately, save many more lives ”.